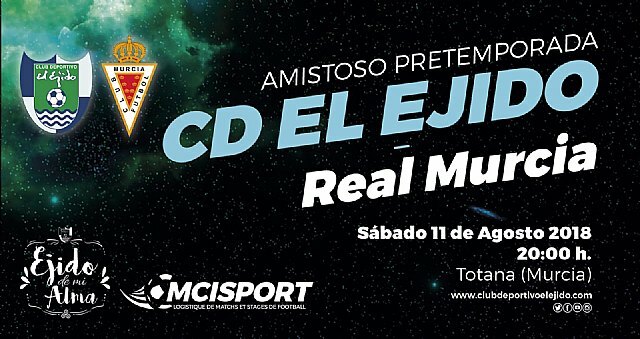 The Sports Club El Ejido and Real Murcia will play on August 11 in Totana (Juan Cayuela) at 20:00 h.
Both entities have made high quality templates with the ambition to fight for the posts of play off. This meeting is organized by MCI Sport in collaboration with the City Council of Totana and the Olympic club of Totana. An appointment that will measure in the final stretch of preseason to two entities that have aroused the interest of football fans for their potential in Group IV Second Division B.